The Eagle Brewing Co. of Saginaw. 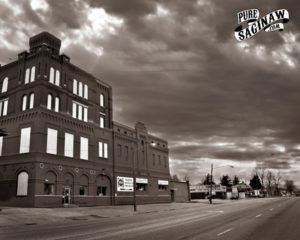 The Eagle Brewery was the oldest brewery in Saginaw started in 1854 by German immigrant John Wolfgang Rosa. The Brewery started in the family homestead and eventually grew into a full brewery with a bottling works. His son John T Rosa started working in the brewery at age 14 and after traveling to Detroit and Milwaukee to gain experience he took over the family business with his brother. 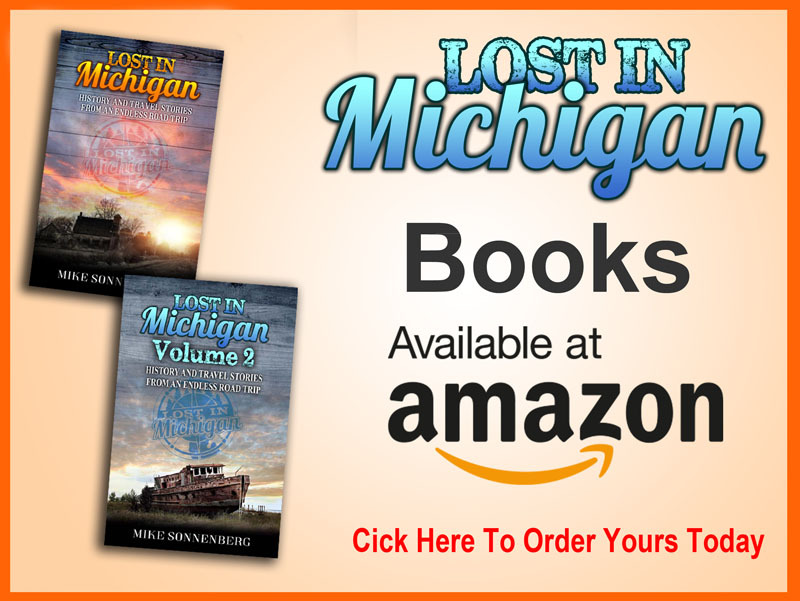 Their sister Marguerite remained in the beer brewing business when she married local Saginaw brewer Luis Darmstaetter which you can read HERE. 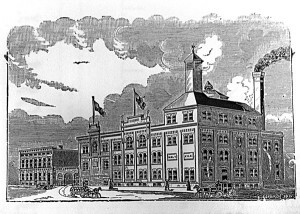 The Eagle Brewery counted a tradition of quality beer until they sold the brewery in 1914. 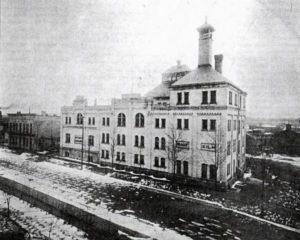 Only 2 years after the sale of the brewery, it was destroyed by fire in 1916 and was never rebuilt. 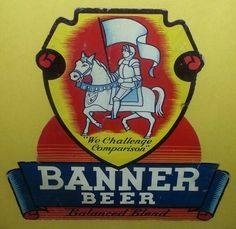 Unlike many of the other breweries in Saginaw that started out a small independently owned brewery, Banner started out in 1901 with investors that build a large brewery on the corner of Genesee and Pheolon. 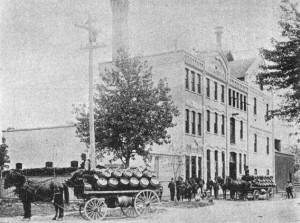 The firm of Houtteman and Cramer from Detroit built a state of the art brewery for a cost of $100,000, an enormous amount of money at the time. The brewery would ship out 25,000 barrels of beer annually and was brewed in a 135 barrel copper kettle. 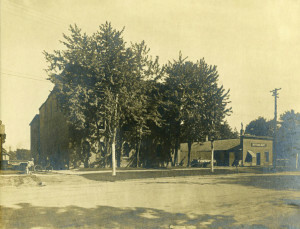 The brewery operated for several years and was a well know brand in mid-Michigan, but like all the breweries, it was shut down for Prohibition. They tried selling non-alcoholic beverages, and then supplies under the name Michigan Bud Products Co. but eventually closed. 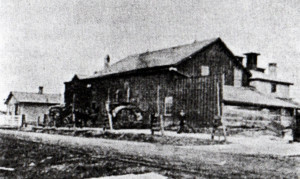 Areo Cushion Tire and Rubber Co. used the building for a short period too. 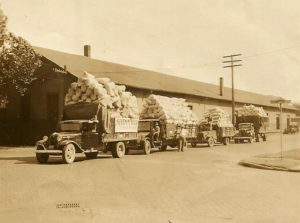 Eventually Prohibition ended and investors re-opened Banner Brewery again in 1934 and hired Fritz Goebel as brew-master. (His family started Goebel’s brewery in Detroit which was purchased by Strohs Brewery) They had ambitions plans and spent $600,000 updating the facility with the best equipment, because of the time it to to raise the funds, the big Detroit breweries had already started shipping beer to Saginaw and it was difficult for Banner to sell eno ugh beer to pay the debts they encored. Ultimately everything was sold off to pay the creditors. You can still see the old brewery building since Hays Specialties owns it now, so next time you drive down Genesee and you see that enormous dark red building, maybe you will think of the thousands of barrels of beer that came out the old brewery. 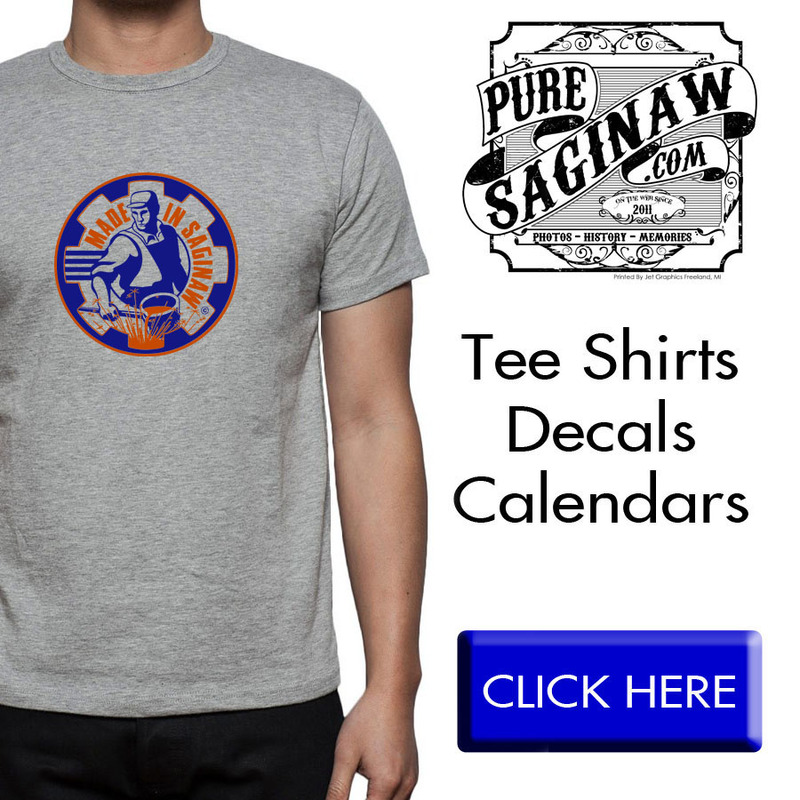 Anyone who has lived in Saginaw for a long time has probably enjoyed a cold beer at one of Hamilton Street’s fine establishments, did you know one of the states best breweries was right down the street. J.G. 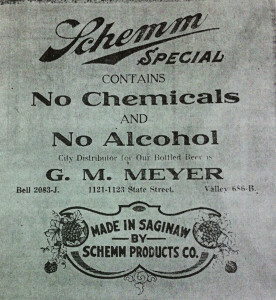 Schemm Brewing Co. was located on the 900 block of North Hamilton between Holland and Miller, and its where the Habitat for Humanity is now, and a small portion of what remains of the brewery is used as an office. It was interesting to note that in my research I found and article from 1897 that mentions John Spatz was the foreman at the brewery. I talked to Joe Spatz at the bakery, and he said he was not aware of any of his relatives being involved in making beer. Joe’s great great great great grandfather was named John who started the bakery with his brother George, but with John being a common name, it may have been a different John Spatz unrelated to the bakery. 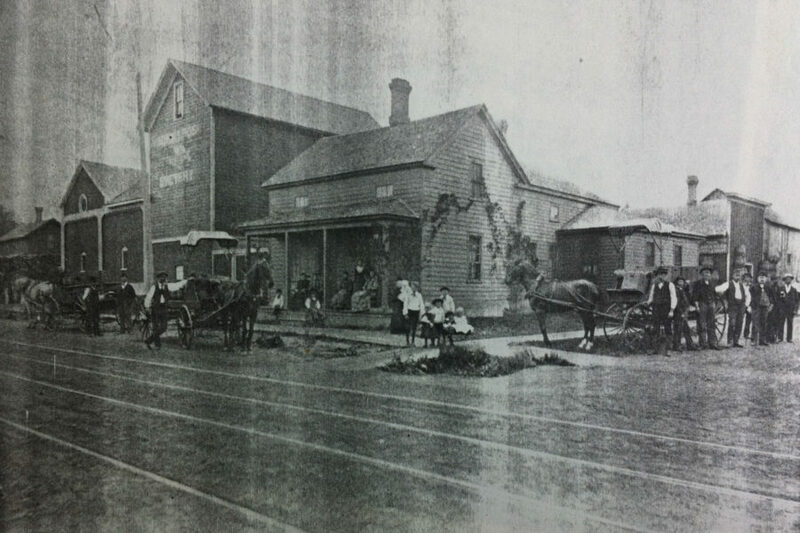 The brewery continued to grow in the 1900’s, and after purchasing the Star Brewery on Lapeer, and moving the equipment to the Hamilton brewery, they brewed over 75,000 barrels of beer annually at their peak. If you’re familiar with American history, Prohibition started and that is what forced the brewery to stop making beer. 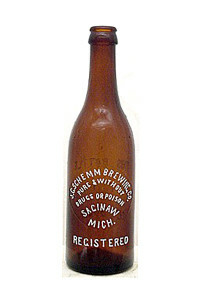 They changed to Schemm products making non alcaholic beer and other products. Apparently people drank beer for it’s alcoholic content and the brewery soon became defunct and the bank took over the property. 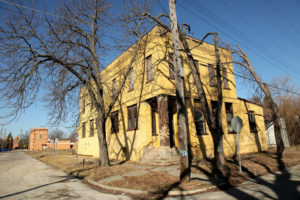 the bank sold it to Peerles products company manufacturers of malt, but it soon fell into financial trouble, with the Bank of Saginaw taking over the property once again. After prohibition, and it was legal to brew beer again, the bank sold the property to a group of Detroit investors headed by John Gillespie, but he never revealed the identity of his investors. 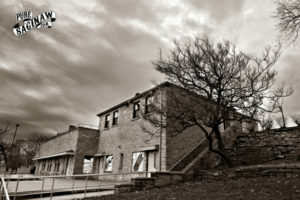 The new owners had an ongoing battle from 1933 to 1937 with the state liquor control for licensing, the state believed they had ties to the notorious Purple Gang (also known as the Sugar House Gang) in Detroit. 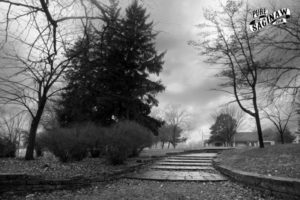 A change in ownership brought state approval and they operated until 1938 when the city padlocked the door for personal property taxes owed to the city. I think with the struggle for getting a license other breweries were able to start up after prohibition and capture the market before Schemm could get a share of that market. After the brewery stopped making beer for the final time, the building housed other businesses with the final occupant being Arrow Paper Co. the old brewery suffered 4 major fires over 5 years and with the last fire, when the building was vacant in 1954, caused enough damage for the structure to be demolished in 1955. If you like this article it would really mean a lot to me if you share it with your friends.